Introducing Burlap Accents! These new items are now available in our online store. These rustic, yet chic, burlap pieces are the perfect addition to any project. Add to your artwork, DIY projects, mixed media, wreaths, vases and so much more! 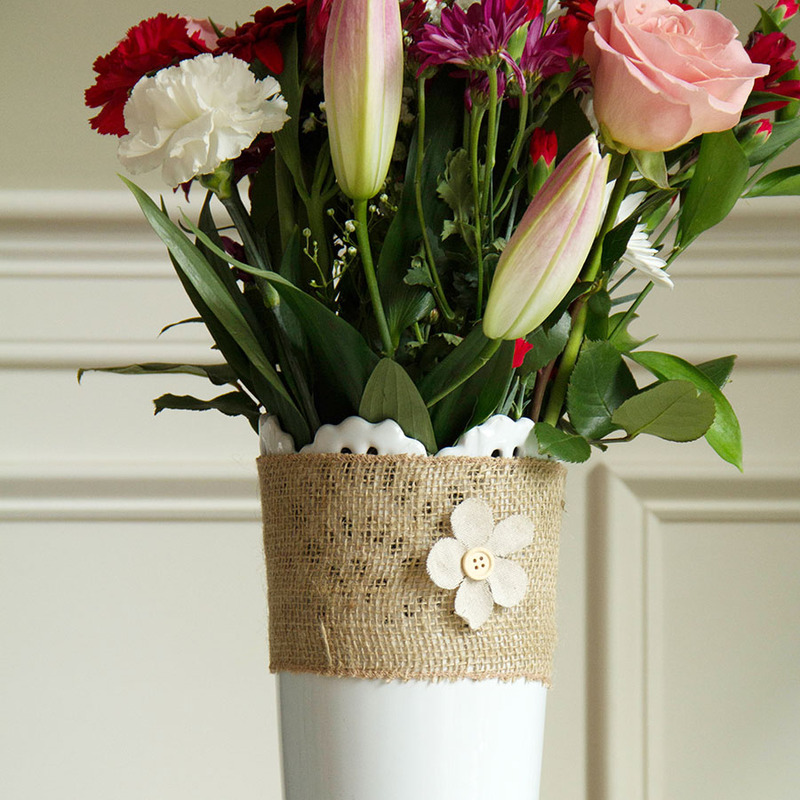 We took a small portion of the 4″ burlap band and wrapped around this white vase to add just a little home spun touch. We’d love to see what you create. 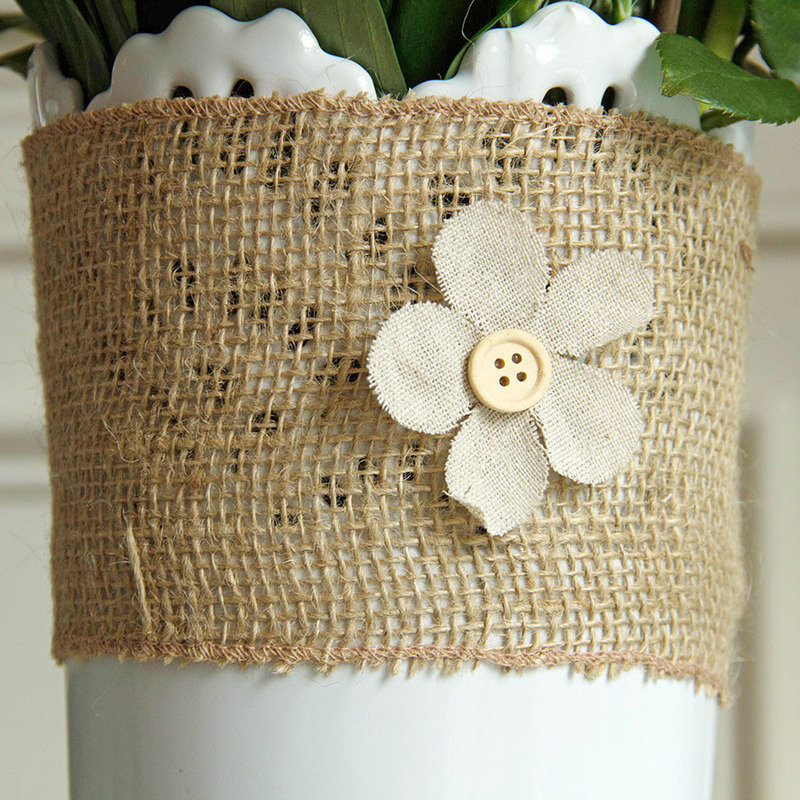 4″ wide band made of Burlap & accented with a flower to wrap the top of a mason jar. Perfect for dressing up a gift. 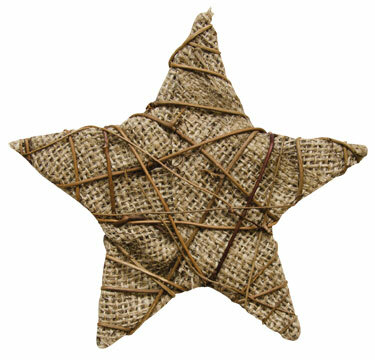 6″ Burlap star with dried vine intertwined. Great for crafting. Measures 6″ in diameter. 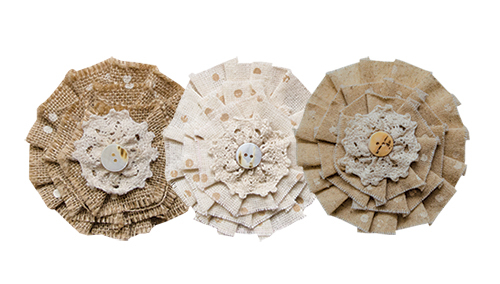 Burlap Flower Pin Set of 3. Each flower measures 4.5″ in diameter. Adorned with lace & buttons with a pin on the backside. The flowers each measure 4.5″. Dress up your crafts, mixed media or scrapbook pages with these lovely flowers. 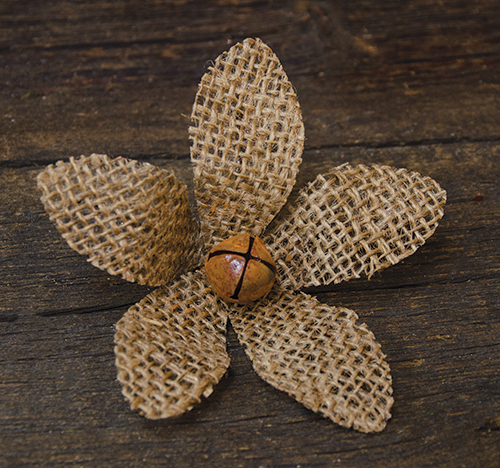 5.5″ Burlap Flower Clip attached to a clothespin, adorned with a rusty bell in the center. 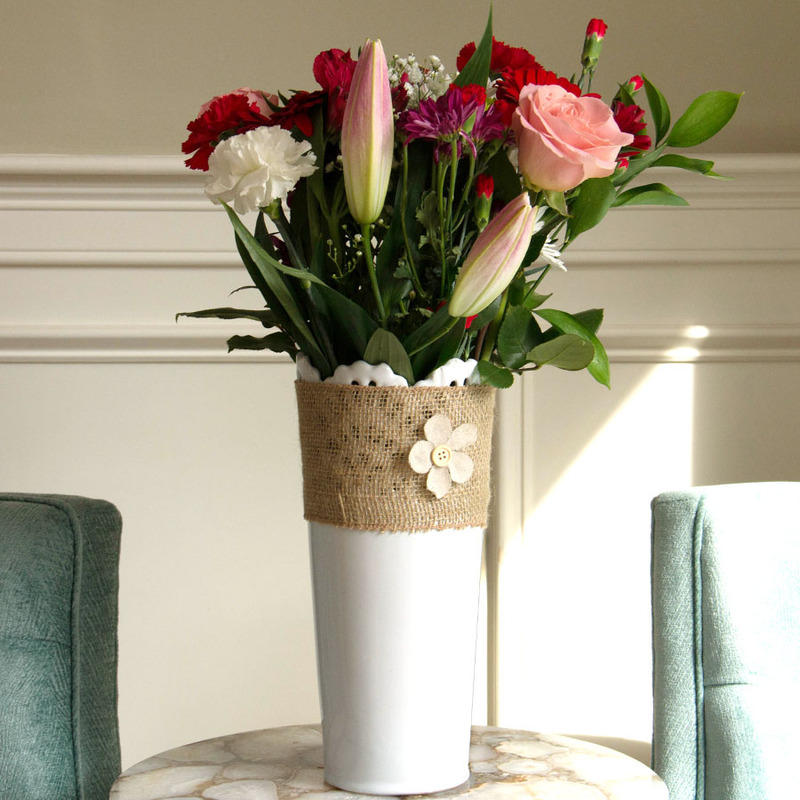 Petals are movable to get them just right for your project. This entry was posted in Crafts & Kits, DIY Projects and tagged burlap, Burlap accents, Decor, diy, flower, star, vase.